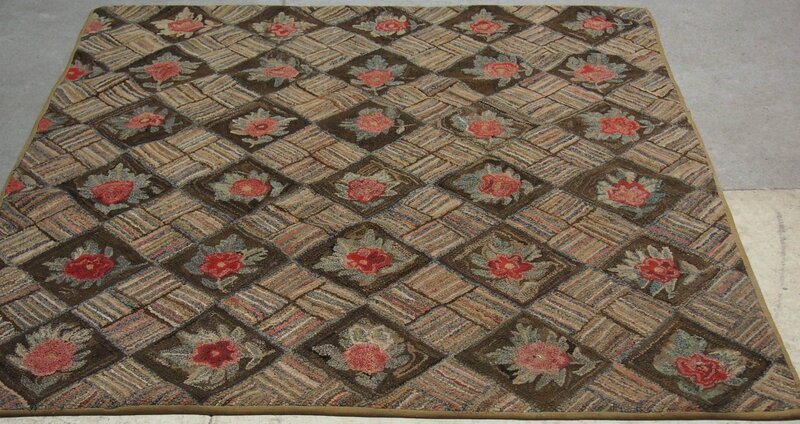 It's unusual to find a larger late 19th century hooked rug that is both geometric and floral. This New England wool example combines a Basketweave- like pattern fashioned with four striped blocks alternating with blocks of single roses. By setting each block on point as a diamond, the maker produced a dynamic visual that adds further interest to the overall appearance of the rug. In untouched still vital condition.